Everyone may be freaking out over the new cauliflower crust pizza at Trader Joe’s, but if you have a sweet tooth, there’s something else you’ll want to keep an eye out for when waiting (and waiting) in line. 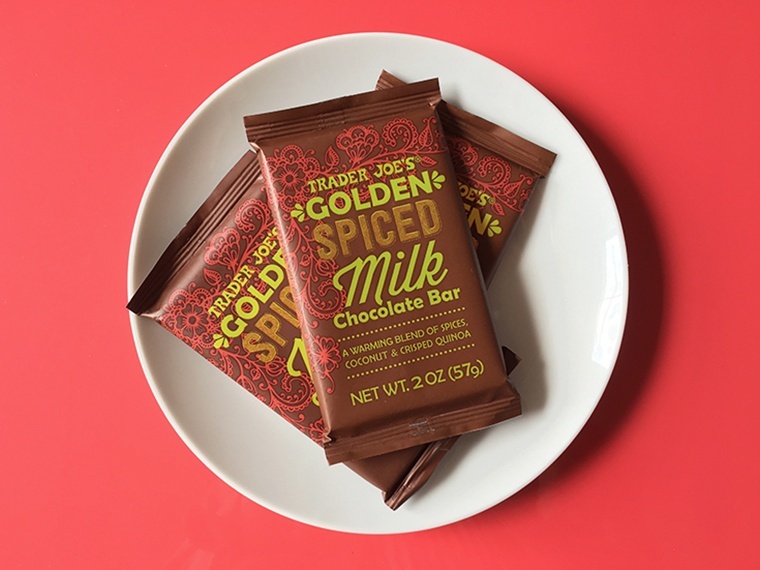 Spotted on the shelves: a golden spiced milk chocolate bar that’s liberally infused with cult fave super spice turmeric. I make it my business to keep up with all things anti-inflammatory, so I raided the shelves at TJ’s and bought enough turmeric-infused bars for the whole office to try. Because sure, it sounds healthy. But taste is everything. Besides turmeric, the bar also has cardamom, ginger, nutmeg, crisped quinoa, dried coconut, cocoa butter, and curry powder—on top of, you know, the milk chocolate. 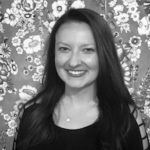 After conducting a taste test, the overwhelming majority of Well+Good staffers gave positive reviews of the bars: “It tastes like a healthier version of a Crunch bar,” says audience development associate Celine Cortes, adding that she likes its mix of sweet and salty. Not everyone gave it such a glowing review, though. You won’t be finding this new snack in client services manager Ben Adams’ grocery basket anytime soon. “It’s a little funky. I’d rather go with dark chocolate,” he says. On the other hand, this chocolate bar is sugar-free and packed with adaptogens. And if you’re trying to quit the sweet stuff, here’s how to handle sugar cravings, Kate Middleton-style.